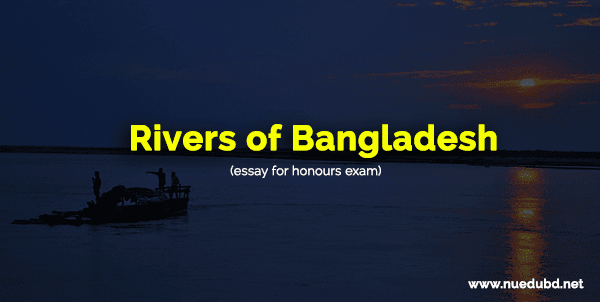 Rivers of Bangladesh - Essay for Honours/Degree Exam! Dear student, today I am gonna share another important essay for honours and Degree exam. You know, we're now regularly sharing all important essay, paragraph, application, report etc for Honours and Degree examination. You know, English is a compulsory subject in Honours 2nd year and Degree 3rd Year. The essay is a question of both exam with 15 Marks. For a good result, you must need tho answer the essay. NU EDU BD now regularly sharing all important essay about Bangladesh National University Honours/Degree exam.